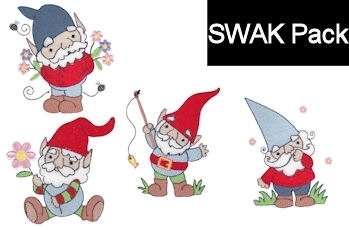 Gnomes 1, SWAK Pack - 2 Sizes! 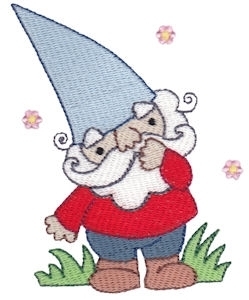 Gnomes is a whimsical collection of cute little gnomes great for boys, girls and adults alike. This collection comes in two sizes, one for the 4x4 hoop and one for the 5x7 hoop. *PCS and SEW users will receive the 4x4 size only. 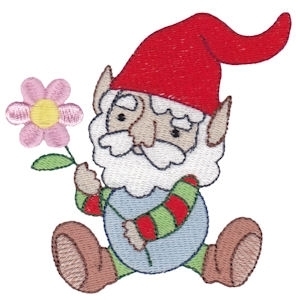 Gnomes 3, SWAK Pack - 2 Sizes! 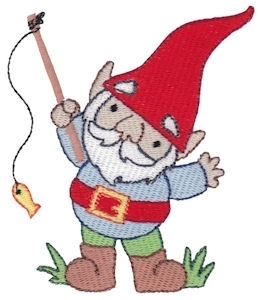 Gnomes 2, SWAK Pack - 2 Sizes! 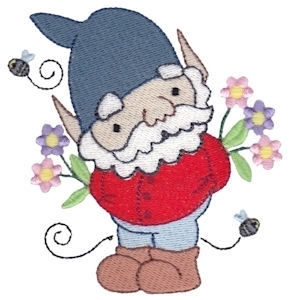 Finish Size: Gnome with Flower 3.89" x 3.73"
Finish Size: Gnome with Flowers Behind Back 3.75" x 3.88"
Finish Size: Fishing Gnome 3.41" x 3.89"
Finis Size: Plain Gnome 3.05" x 3.87"
Finish Size: Gnome with Flower 5.05" x 5.26"
Finish Size: Gnome with Flowers Behind Back 5.06" x 5.24"
Finish Size: Fishing Gnome 5.06" x 5.78"
Finis Size: Plain Gnome 4.43" x 5.61"